In 1954, Joseph Papp was granted a charter from New York State to create what was then called the "Shakespeare Workshop." 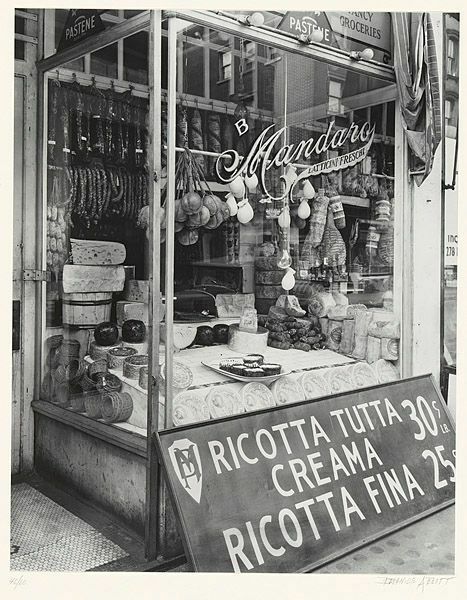 In 1956, the workshop -- now dubbed the Shakespearean Workshop Theater -- began performances. These early shows were at a variety of venues, including an amphitheater on the Lower East Side on Grand Street, outdoors in Central Park near Turtle Pond (close by the current site of the Delacorte) and at Wollman Rink before Robert Moses finally agreed to Papp's request that the company be given a permanent home in the park. 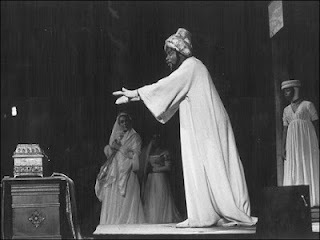 First, however, Papp had to sue Moses, who insisted that the Shakespearean Workshop charge admission -- at least a dollar or two -- to offset the extra costs that would be involved in hosting the plays in the park. 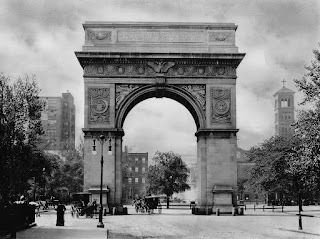 The courts sided with Papp's desire to keep his performances free, and soon work on the Delacorte began. Delays in the design and construction of the theater led the initial season to be pushed back from 1961 to 1962, and for the city to need an additional $150,000 in funds to complete the project. Philanthropist and publisher George Delacorte (of Dell Books), a major supporter of Papp's efforts and of the park, stepped in with the cash and the theater was named in his honor. Playbill has a slideshow you can peruse of past productions at the theater -- or go check it out in person. This summer features a delightful As You Like It (on through June 30) followed by Stephen Sondheim's Into the Woods from July 23 to August 25. Information on tickets (including "virtual tickets") can be found at the Public Theater's website. 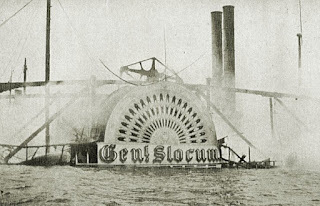 Today marks the tragic anniversary of the sinking of the General Slocum, which was ferrying over 1,000 German immigrants to a Sunday School picnic on Long Island when it went down in the East River on June 15, 1904. 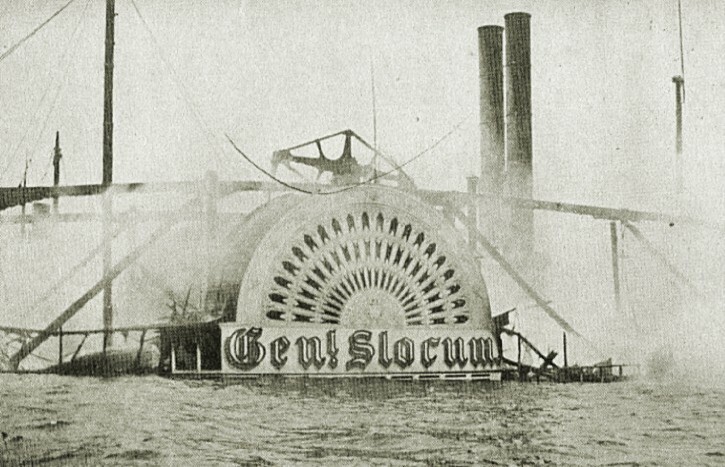 We have blogged about the General Slocum in the past; you can read more about it at http://blog.insidetheapple.net/2009/06/general-slocum-disaster.html or, in more depth, in Inside the Apple. The slide show is a wonderful way to see how housing styles changed--and didn't change--throughout the 19th century. Many of the slides from the middle of that century are homes in Brooklyn Heights, which has the best preserved array of townhouses anywhere in the city. We focus on these houses in our walking tour of Brooklyn Heights. One caveat: take the years attached to the slides with a grain of salt. For most of the 19th century, there was no Department of Buildings or permitting process, so construction dates are often an estimation. Also, the dates on some of these slides--especially in the 1970s--are just inexplicably wrong. Still, it's a great tour of New York property and includes recent sale prices for many properties. 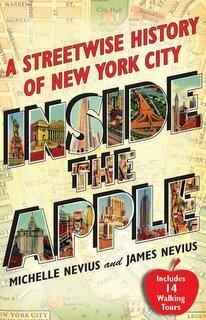 Recently, a reader and fan of Inside the Apple: A Streetwise History of New York City, was surprised to discover that we are available to personally lead the guided walks from the book. Not only are we available, we love conducting tours for people who've read the book and want the opportunity to explore a part of the city in greater depth. Over the next couple of weeks, we are going to blog about some of our favorite walks around the city that we lead for clients. If you are interested to booking any of these tours for yourself, either visit www.walknyc.com for more details or email us at walknyc@gmail.com or info@insidetheapple.net. We love walking in Lower Manhattan because it is the section of the city where the largest amount of history is contained in the smallest amount of space. From the first Dutch settlers to the capital of American finance, there are hundreds of tales to tell in Lower Manhattan. Did you know the Statue of Liberty was originally supposed to stand in Egypt? Or that eight million immigrants were processed through a War of 1812 fort in Battery Park before Ellis Island had been created? 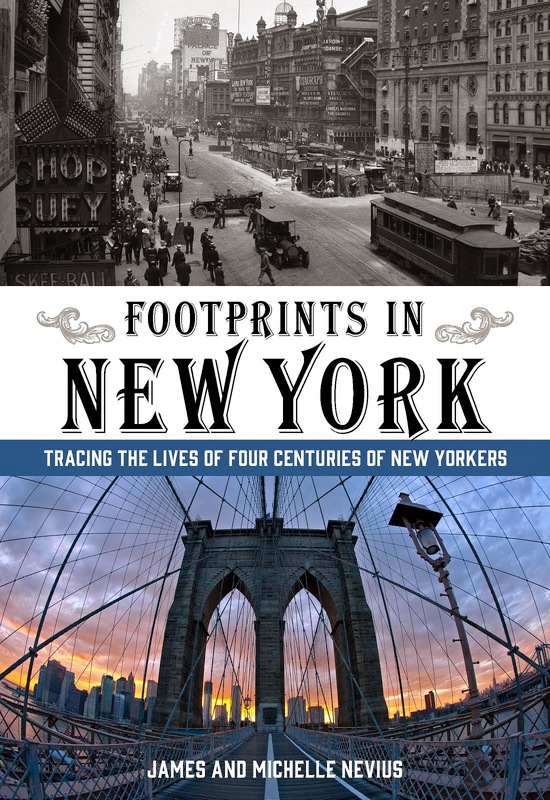 Our walk through this area weaves together architectural, historical, cultural (and pop-cultural: after all we are passing Men in Black HQ) sites to create a portrait of how New York City has emerged as America's premiere city over the last 400 years. One of the best things about a guided walk of the Financial District is how many different tangents we can follow. Some groups opt for an entirely a colonial-era tour, focusing on the era from Henry Hudson's arrival in 1609 to the first rumblings of the Revolutionary War. Walking what is basically the entire outline of the old city, we see everything from the site of the famous wall that gave its name to Wall Street to the archaeological excavations that unearthed the oldest foundations in Manhattan, those of the 1670 Lovelace Tavern (which are still on view). 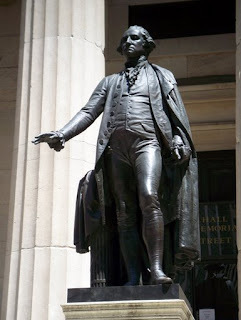 For those who'd rather focus on the Revolution and the Federal period, we traverse the same ground seeing the spot where George Washington was sworn in as America's first president; Alexander Hamilton's grave in Trinity Church; the fence at Bowling Green Park which still shows the marks of revolutionary fervor, and much more. 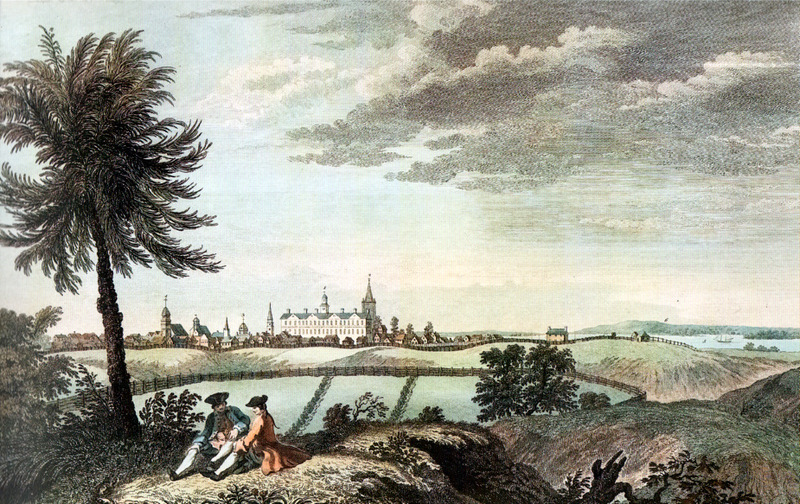 Interested in Financial History? We can walk four centuries of New York finance, from the place where Peter Minuit may have struck the so-called $24 deal to buy the island of Manhattan to the threshold of World Trade Center, poised to become the tallest building in the country and the cornerstone of a revitalized business district. Or, of course, you can opt for the walk that combines all of these elements into a two-hour journey into the past. To book, email us at walknyc@gmail.com or info@insidetheapple.net and we'll set it up. Tours are a flat fee of $80 for 1-4 people or $20 per person for parties larger than four. Discounts for larger parties and student groups.